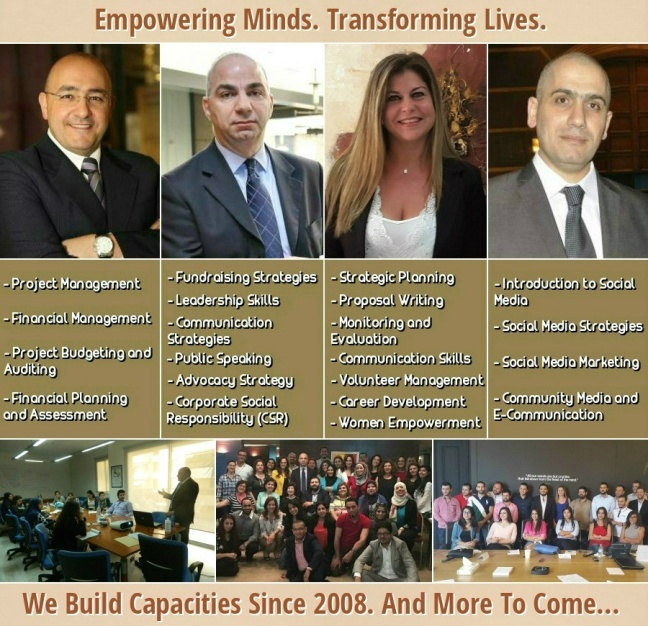 In June 2016, the Lebanese Development Network (LDN) enters its 9th year in the Capacity Building field. To date, more than 5200 trainees have participated in our workshops, around 450 institutions have benefited from our various services, and over 24 partnerships have been established with local, regional and international organizations. Obviously, none of this would have been possible without our awesome team. A very special ‘Thank You’ to Rouba for your professionalism and commitment. ‘Thank You’ for being there striving to make it happen for 8 consecutive years. ‘Thank you’ as well to our Executive Committee members and Coaches Samer and Michel for your hard work and dedication. Your genuine devotion to ‘LDN’ laid the foundation of a prominent, leading and transformational organization. We also want to thank our partners, associates and friends who not only shared our vision, but also contributed it far better than we ever could have dreamed. ‘Thank you’ to all who trusted us with the most valuable asset in their life; their knowledge. More coming down the road. We look forward to share our new and exciting programs as we move along together.